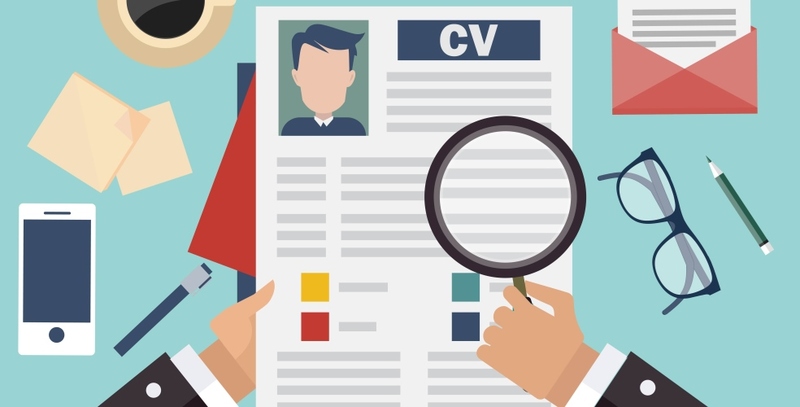 What Is In Store For The Future Of Recruitment? The Global HR Trends Summit 5 in Zagreb is proud to present a cutting edge presentation on The Future Of Recruitment and how to prepare business for change presented by Catherine MacGillivray-Prantl, Former Head of Global Talent Acquisition, Swarovski. Catherine has spent 4 years in 3 different roles at the Swarovski Crystal Businesscorporate headquarters in Switzerland. In her most recent role as Global Head of Talent Acquisition, she was responsible for developing a global talent acquisition framework, bringing global approaches to recruitment and employer branding for their 25,000 office-based, production and retail staff across 40 locations worldwide. Catherine started her career in Paris (France) in the Strategic Marketing Department of Chanel Fragrances & Beauty, then moved on to join TMP Executive Search where her clients included many luxury brands. Subsequently, Catherine spent 8 years with Value Retail, a pioneer in the creation and operation of luxury outlet shopping destinations, as HR Business Partner for various European countries. Tell us a bit about yourself and your professional journey, how did you decide that Human Resources would be your vocation? British and born in London, I moved to Paris when I was 18 months old and spent in total 30 years there. I studied in Scotland and Italy, and have also worked in England and Switzerland. I started my career at Chanel where I was responsible for building up a database of information on Chanel’s competitors. From looking for information on companies, I moved to looking for candidates in the luxury industry. I was then hired by one of my clients, Value Retail, as a recruiter. I studied employment law and grew into an HR business partnering role, responsible for the teams in Belgium, France, Germany and Italy. I also held an HR projects role, in which I led the implementation of an HRIS from A to Z. I moved to Switzerland and Swarovski in December 2011, first in a regional HR business partner role, supporting different functions and businesses in Europe, then into an HR systems role. In my last role as Head of Global Talent Acquisition, I was responsible for defining a global recruitment strategy for Swarovski, including global processes, tools and structures. I have always had a keen interest in the well-being and development of people. Although I fell into HR by accident, I soon became aware that HR is in a unique position to help employees discover and follow their vocation. They come to us from various places and different stages in their lives. By assisting them and their managers to become their best at work, HR can play a part in influencing strategic business decisions that will contribute to business success. What are some of the projects, in terms of HR, that you have worked on and are most proud of? At Value Retail, the full implementation of an HRIS and the launch of a buddy program. At Swarovski, the definition of global recruitment processes to be implemented in Workday, which were recognized as best-in-class by our implementation partner, KPMG. At the Global HR Trends Summit in Zagreb, you will be presenting on recruitment strategies. Can you give us a bit of an insight as to what the audience can expect from your topic? My presentation will include some of the macro-economic changes that we need to take into account when defining a recruitment strategy, as well as how these changes impact the role of the recruiter. I will share some ideas of how to proactively source candidates, as well as how to screen, interview and onboard them. Having left Swarovski last September, I will also share what recruiters and businesses should know about what it has been like, from my perspective, to be a candidate! You are currently based in Switzerland, how would you compare the working environment there with the rest of the world? Switzerland is one of the most capitalist, competitive and innovative economies in the world. If measured by per capita income, it also qualifies as one of the richest countries in the world. With an unemployment rate of circa 3.1% in 2015, Switzerland is doing well in comparison to other Western European economies. However, it also has a very high cost of living when compared with countries in the European Union, and consequently high levels of pay – Zurich is one of the cities with the highest gross pay in the world! That being said, it is not all rosy: it is very easy to dismiss employees without giving any reason; legislation to protect employees against discrimination is nowhere near as advanced as in European countries; there are very few women in senior leadership positions, and there is little childcare support. The upside is that Switzerland is a beautiful country, with a strong well-being and outdoors culture – we might be at our desks at 7.00 a.m., but by 4 p.m. we might be cycling up a mountain or swimming across the lake! You are presenting at the Global HR Trends Summit in Zagreb this spring, what are your expectations from the destination? Although I am an avid traveler, this will be my first time in Croatia and Zagreb. I am always excited to discover new destinations, new cultures and a new language – even for a couple of days! In Zagreb specifically, I am expecting to find a lot of history and interesting architecture, as well as a mix of cultures. I plan to go on a walking tour of the city, and hope I have time to taste some good food… and do some shopping! To join and hear more from Catherine at the Global HR Trends Summit 5 on the 19th of May in Zagreb, visit our web page!